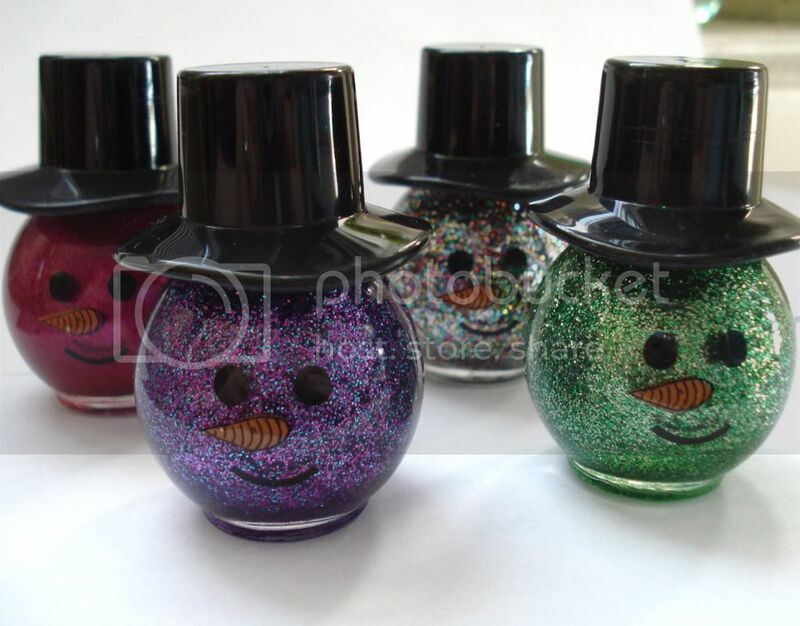 Here are four of the Snowman glitters from the holiday 2011 collection. I can’t get enough glitter! 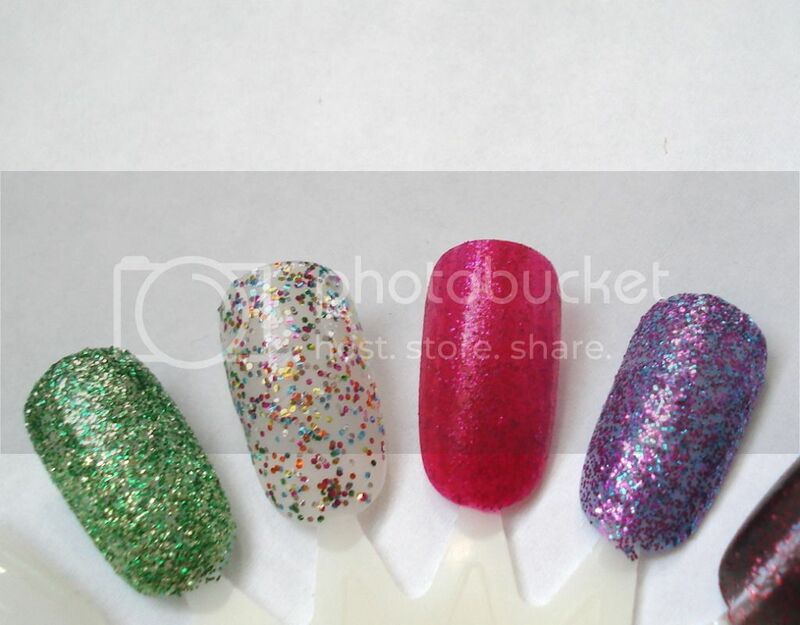 The green and the purple glitters have a colored base which allows them to be layered up to opacity. I used three coats each. By contrast, the rainbow multicolored glitter has a clear base, so it’s meant for layering. I can’t wait to try it over black. 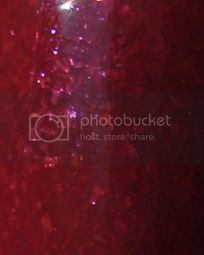 Lastly, the fuchsia polish is a jelly with more of a microglitter inside. Since it dries with texture I would recommend using a topcoat for more gloss. 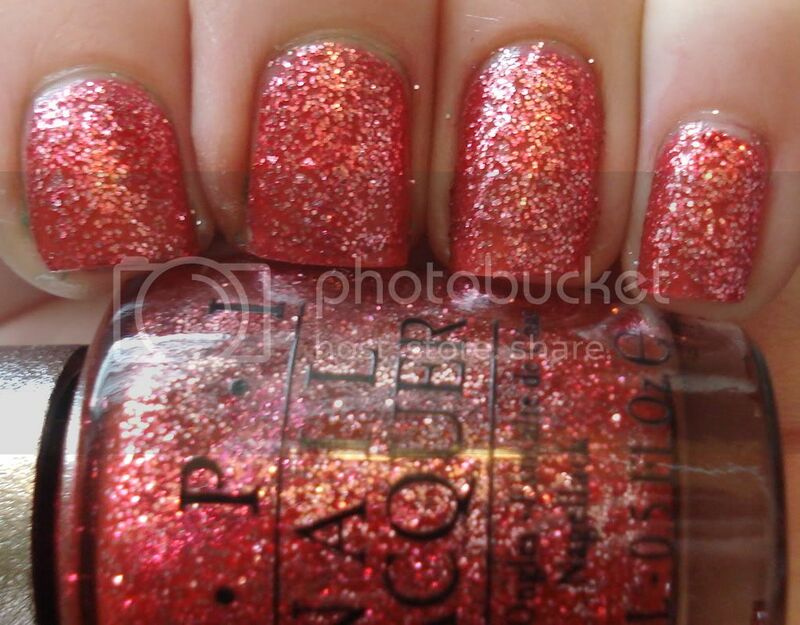 I was attracted by two lacquers from the Revlon Top Speed Holiday collection. 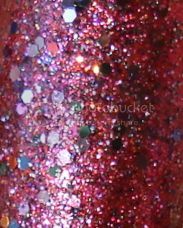 Glitz & Glam is a rose and silver glitter in a red base. Three coats will give you complete, streak-free coverage. 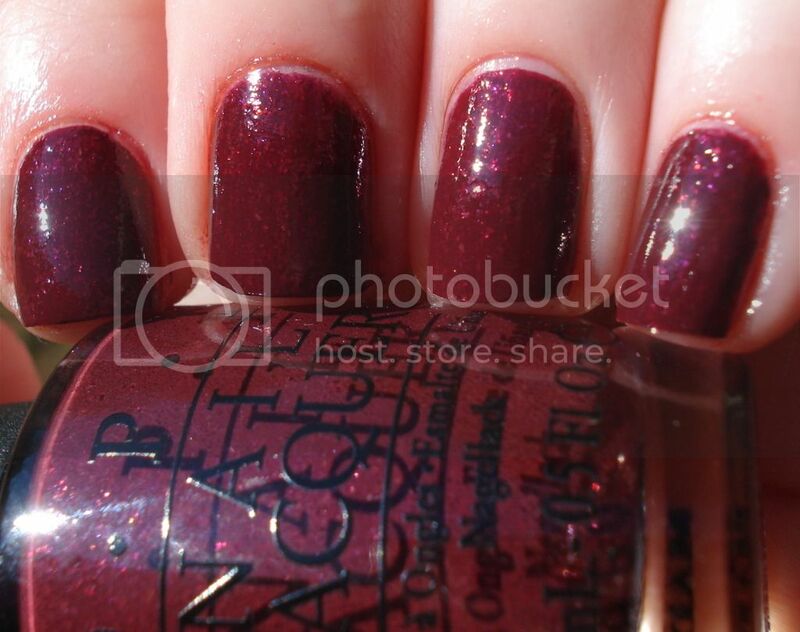 And here’s how Glitz and Glam looks compared with OPI DS Bold (pictured on nails). While they share similarities they are not exact dupes. 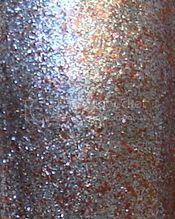 G&G is slightly darker/less pink, with finer glitter. I actually preferred the formula on the Revlon, as well. And Mistletoe is a grown-up blackened golden olive foil. This is three coats as well. 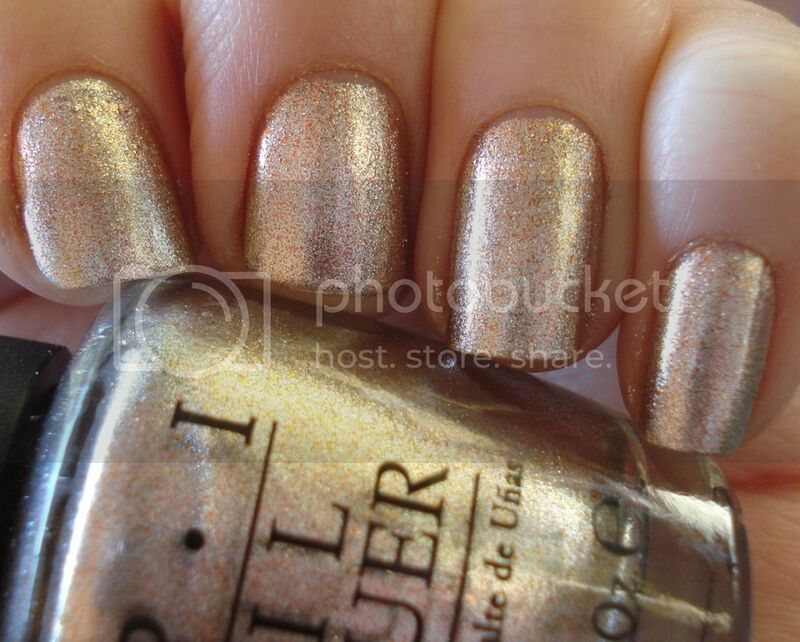 Mistletoe doesn’t really scream “holiday” to me, but I think it’s a lovely color for fall/winter wear. Glitz and Glam is definitely more party-ready!